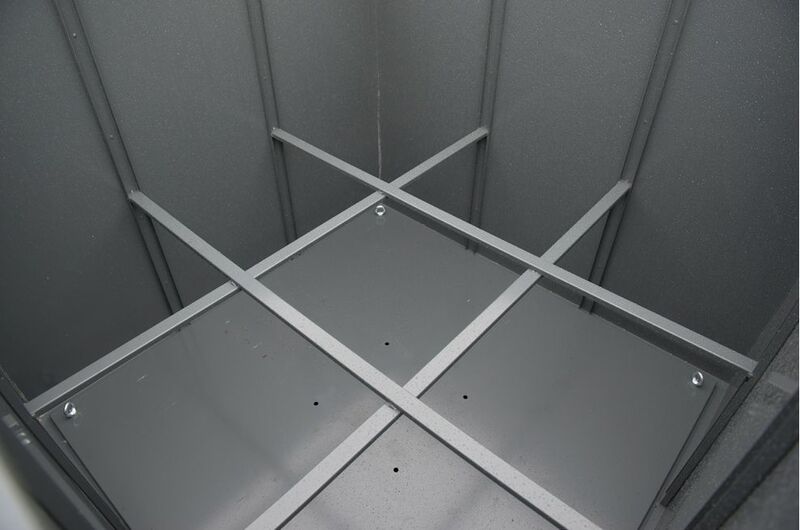 A total of 7nr. 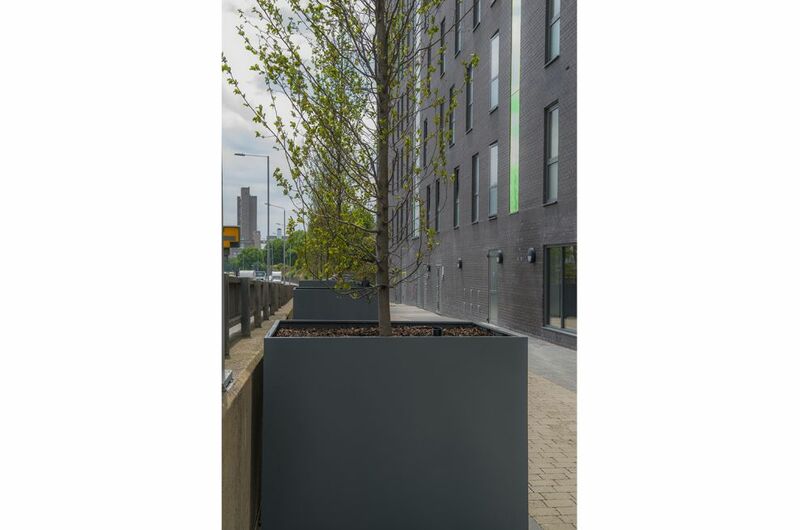 bespoke steel tree planters were supplied, dims. 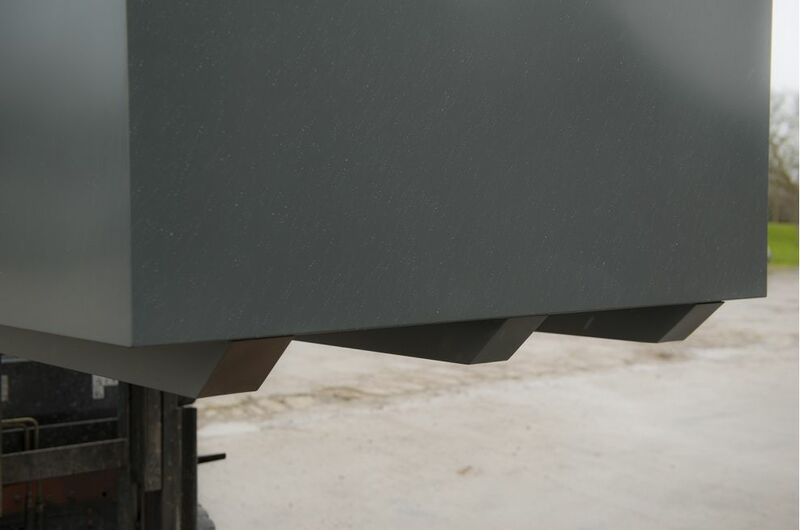 L 1450 x W 1450 x H 1100mm. 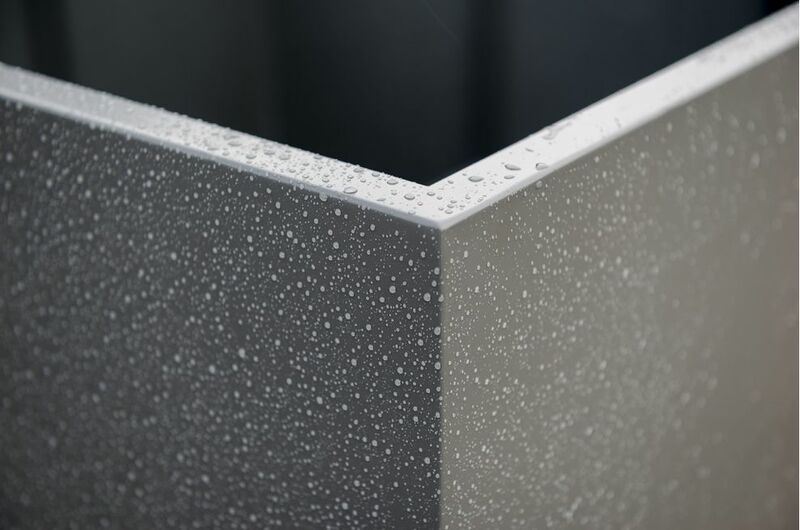 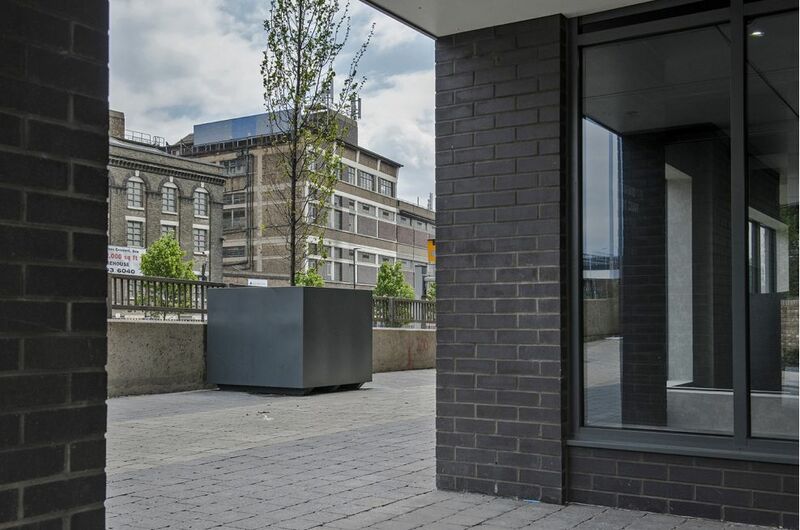 The planters were manufactured from 1.5mm Zintec steel, polyester powder coated to RAL 7043 [Traffic grey]. 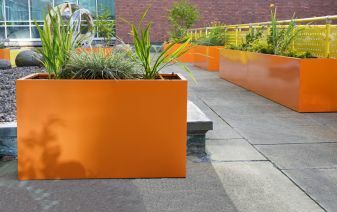 The planters were manufactured with 3nr. 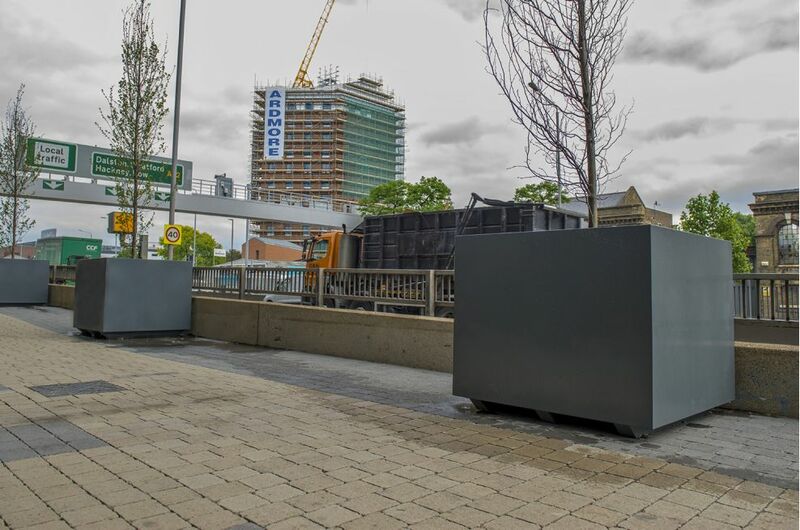 90mm high runners per planter, to enable movement via forklift or pallet truck; and the planters also included 4 steel eye bolts in each base, to act as tree anchor attachment points. 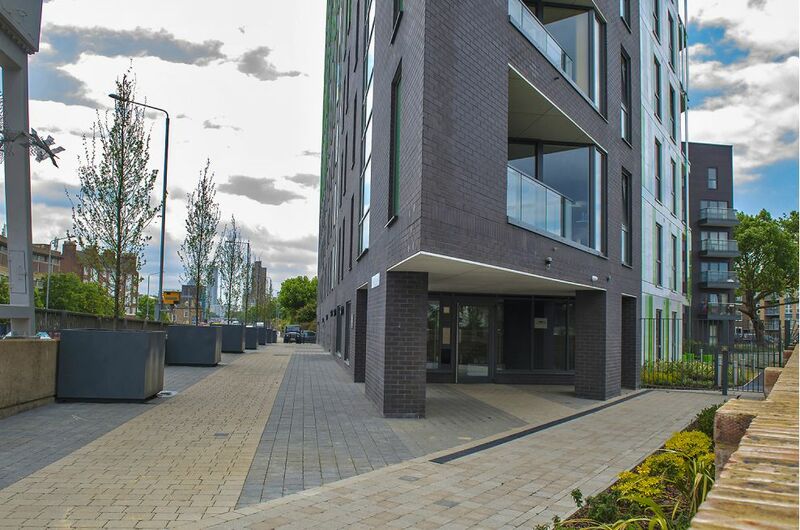 LIME QUAY is the second project completed by IOTA for Telford Homes in 2015, the other being PARKSIDE QUARTER, Isle of Dogs. 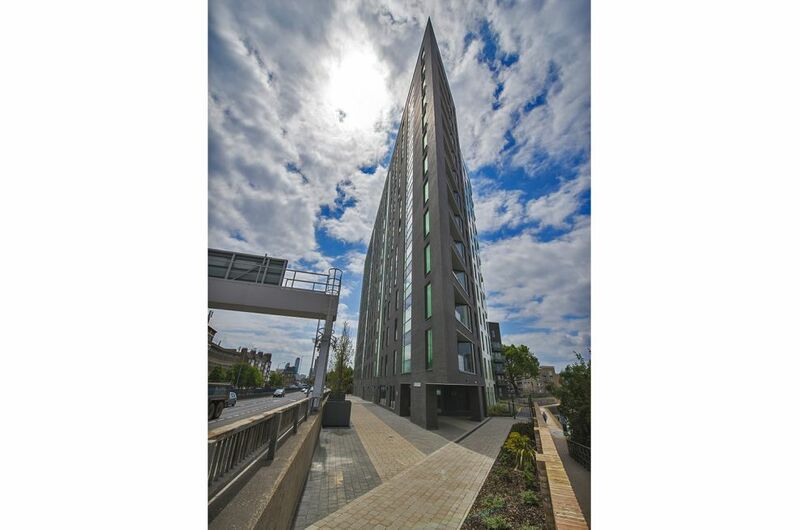 Designed with a contemporary glass façade by Larissa Henke Architects, LIME QUAY comprises 60 residential apartments including two and three-bedroom apartments and penthouses. 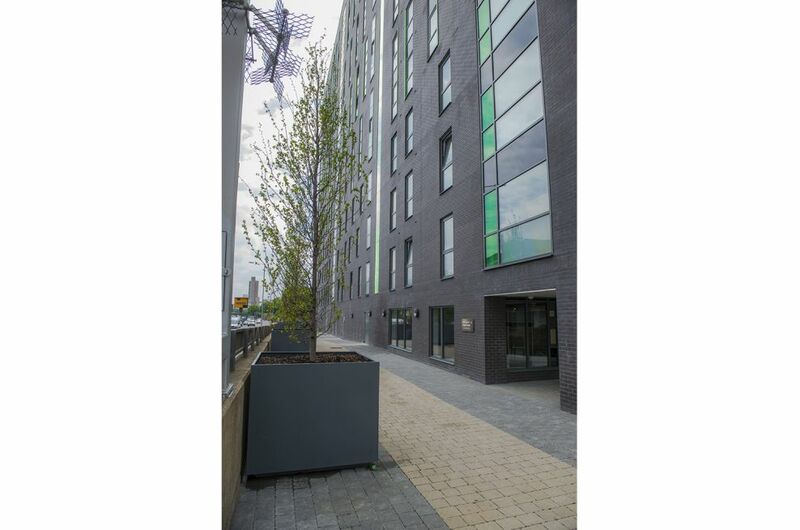 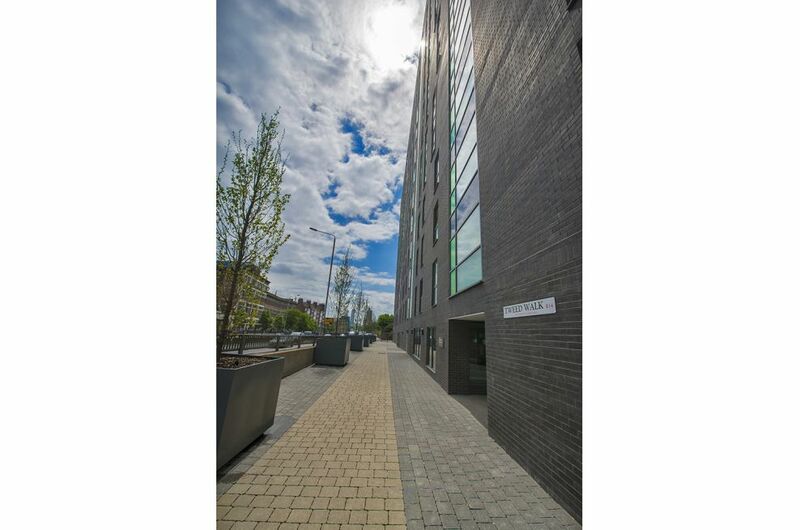 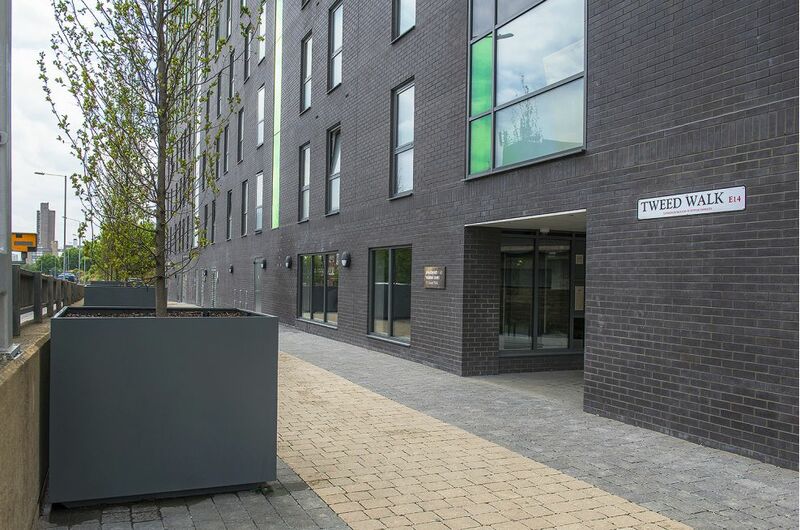 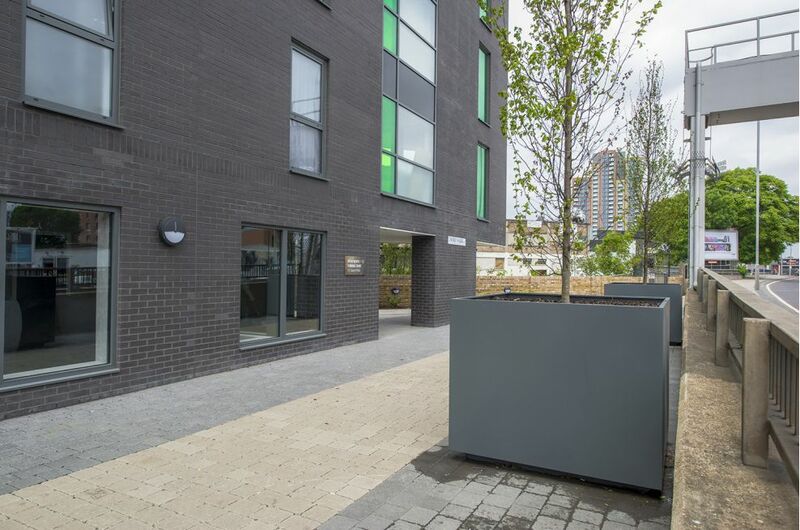 LIME QUAY is adjacent to the Lime House Cut canal, with all apartments having a water-facing aspect and many with City views; and the development’s location offers an easy commute to the key East London employment hubs of Canary Wharf and Stratford City.